The projects must qualify through a rigorous and public registration and issuance process designed to ensure real, measurable and verifiable emission reductions that are additional to what would have occurred without the project. The mechanism is overseen by the CDM Executive Board, answerable ultimately to the countries that have ratified the Kyoto Protocol. KBS is the first Indian entity accredited as a Designated Operational Entity (DOE) by CDM Executive Board for validation and verification in sectoral scope 1, 3, 4, 5, 7, 9, 10, 12, 13 and 15. Currently, KBS portfolio has 150+ projects in CDM validation/verification worldwide including South Asia, Africa, Middle East and Latin America. It has a vast experience in handling renewable energy, energy efficiency, waste heat recovery type projects covering a various technologies (solar, wind, hydro, biomass, geothermal etc.) and scale (large & small). The Gold Standard is a holistic standard that integrates Energy and Waste, Land Use & Forests, and Water to maximize the benefits of each respective scope. With a single, streamlined certification process that reduces costs and complexity, Gold Standard assesses the impact of project activities toward the post-2015 Sustainable Development Goals. It provides project developers with a tool to ensure that the CDM and JI deliver credible projects with real sustainable development benefits and, in so doing, confidence to host countries and the public that projects represent new and additional investments in sustainable energy services.Carbon offset projects that satisfy Gold Standard requirements are granted permission to use the Gold Standard brand name and logo, and sell their carbon credits with the Gold Standard label. A firm or organization wishing to register a project with the Gold Standard and obtain GS certification for the project's carbon credits follows the same steps as for the Clean Development Mechanism (CDM), but must supply additional information at various stages of the process. KBS portfolio has 10+ projects in GS validation/verification worldwide. 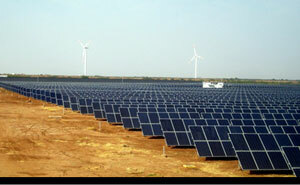 It has a vast experience in handling renewable energy type projects (solar, wind, biomass etc. 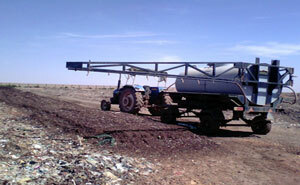 ), waste management and energy efficiency type projects. The VCS provides a robust, global standard and program for approval of credible voluntary offsets.The Verified Carbon Standard ispresently the world’s leading voluntary greenhouse gas program. VCS quality assurance principles ensures all VCUs represent GHG emission reductions or removals that are real, measurable, additional, permanent, independently verified, conservatively estimated, uniquely numbered and transparently listed. 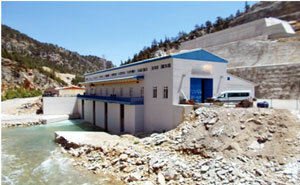 handling renewable energy type projects (solar, wind, hydro, biomass etc.) 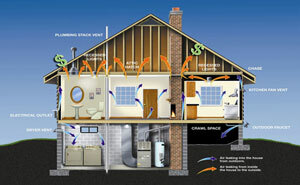 and energy efficiency type projects. ISO 14064 is an independent, voluntary greenhouse gas (GHG) project accounting standard, and is deliberately policy neutral. Whereas the GHG Project Protocol specifies tools and accounting methods, ISO 14064 simply gives general guidance; specific tools or tests can be defined by the GHG programme or regulation under which ISO 14064 is used. 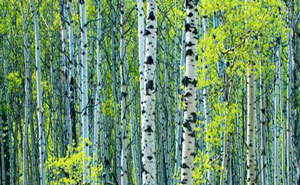 The ISO 14064 standard consists of three parts. The first part (14064-1) specifies requirements for designing and developing organization or entity-level GHG inventories. The second part (14064-2) details requirements for quantifying, monitoring and reporting emission reductions and removal enhancements from GHG projects. The third part (14064-3) provides requirements and guidance for the conducting of GHG information validation and verification. Good GHG management has become critical for organizations, as manybig MNCs are including environmental performance criteria in their procurement process. With independent GHG verification, organizations can publish credible information about their carbon footprint, carbon neutrality and/or reductions. Also, organizations can compare themselves to their counterparts throughout the world in terms of GHG performance, potentially leveraging their exemplary GHG emission performance into a competitive advantage. KBS is also a licensed AA1000AS (2008) assurance provider accredited by AccountAbility UK (weblink). The standard AA1000AS (2008) assurance provides a comprehensive way of holding an organisation accountable for its management, performance, and reporting on sustainability issues by evaluating the adherence of an organisation to the AccountAbility Principles and the reliability of associated performance information. 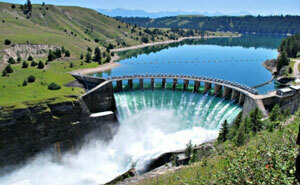 The World Commission on Dams (WCD) established the most comprehensive guidelines for dam building. The WCD describes an innovative framework for planning water and energy projects that is intended to protect dam-affected people and the environment, and ensure that the benefits from dams are more equitably distributed. The purpose of WCD validation is to ascertain the compliance of the project according to the seven strategic priorities of the WCD. KBS offers this independent third party assessment for the project activities in accordance with EU directives (DIRECTIVE 2004/101/EC). In the energy domain, we have completed validation/ verification of various Energy efficiency assignments across industries.With a dedicated team of Accredited Energy Auditor (AEA) and Certified Energy Auditor (CEA) by Bureau of Energy Efficiency (BEE), the KBS has been providing various defined and tailor made services in the field of energy efficiency and conservation. KBS has already applied for empanelment of Accredited Energy Auditors Firm with Bureau of Energy Efficiency (BEE) for PAT M&V (Monitoring & Verification) for Designated Consumers (DCs) and Mandatory Energy Audit for Designated Consumers (DCs). Today all types of buildings are going the Green way- Government, IT Parks, Offices, Residential, Banks, Airports, Convention Centre, Institutions, Hospitals, Hotels, Factories, SEZs, Townships, Schools, Metros etc. There are 2 most popular green Building rating systems in India namely Indian Green Building Council (IGBC) and Green Rating for Integrated Habitat Assessment (GRIHA). IGBC promotes a whole-building approach to sustainability, based on the principles of five elements of nature (the Panchabutas viz. earth, water, fire (energy), air and sky) by recognizing performance in the following five key areas mainly Sustainable site development, Water savings, Energy efficiency, Materials selection and Indoor environmental quality. 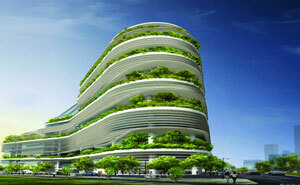 KBS provide end to end consulting services for getting IGBC or GRIHA ratings for new and old buildings in India. The water footprint of an individual, community or business is defined as the total volume of freshwater used to produce the goods and services consumed by the individual or community or produced by the business. 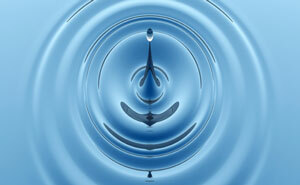 Water use is measured in water volume consumed (evaporated) and/or polluted per unit of time. ISO 14046:2014 (Environmental management—Water footprint—Principles, requirements and guidelines), is the ISO standard, which can be applied for different types of Water Footprint Assessment: for products, companies, countries or river basins. 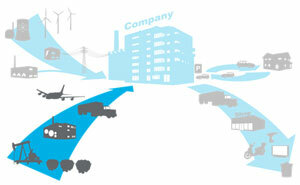 KBS provides water footprint assessment services for organizations, business and new products developed by companies.